Wedding and anniversary gifts from LordsArt will bless the happy couple and will be treasured by all who receive them. We carry Christian Home and Wall decor, Marriage Certificates, Christian art and one-of-a-kind Christian themed gifts that will be remembered for years to come. 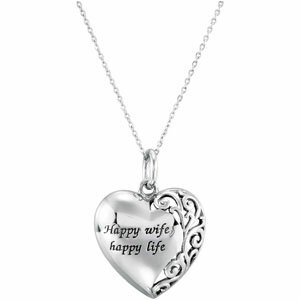 Find the perfect gift that conveys your love and God's blessing from LordsArt. Whether you buy it for yourself or give it as a gift, you will love this reminder of God's goodness and unfailing love. It makes a great way to share your faith and make the receiver of the gift feel special and important in your life. LordsArt is dedicated to quality Christian art at great prices. We at LordsArt are proud to offer a variety of Christian wedding/anniversary gifts, “Love is Patient” wall décor and Christian wall plaques for any momentous occasion. We always want you to enjoy your piece of Christian are and are determined to serve with outstanding customer service. E-mail us at customerservice@lordsart.com, for any questions or inquiries, today! The shipping rate of most of our pieces is calculated using 15% of the retail price. Some lower cost items, such as the unframed prints may be a bit more to cover our shipping expenses. Hawaii, Alaska, and Puerto Rico shipping rates are calculated at a slightly higher rate. Sales tax is only charged to orders within New York state. Please contact us for international shipping rates. WE ALSO OFFER FREE SHIPPING ON MANY ITEMS.